The latest addition to our Vintage range. 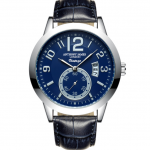 This model is presented with a highly polished silver toned case, complimented by an Oxford Blue dial and Silver indices. 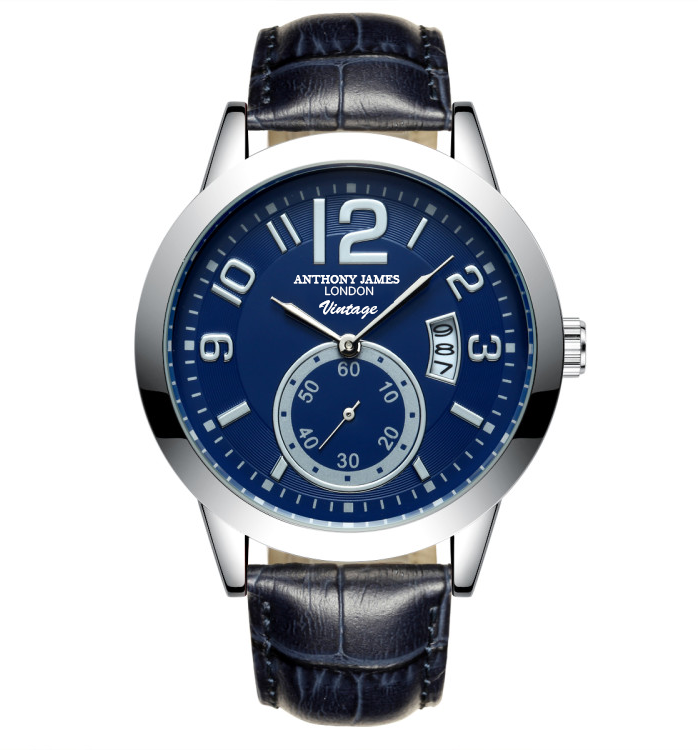 With it’s easily recognisable Anthony James of London separate seconds counter, open cut date window and high grade Smokey Blue leather strap, this timepiece is a must have for any serious watch enthusiast.